There are two types of a homing journey made by cats. The first type occurs after a pet has been stolen, given away to another owner, moves with the family to another house, or gets lost a long way from home. Here the challenge is to return to a familiar home base after starting out in unfamiliar surroundings. Although this may sound difficult, there are many authenticated cases where this has been accomplished with apparent ease and in a very short space of time. The explanations for this ability center around the cat’s sensitivity to the earth’s magnetic forces. 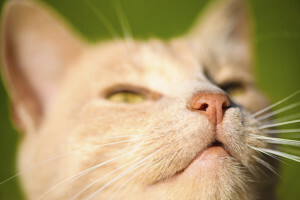 More difficult to explain is the second type of homing journey made by cats which occurs when the cat’s owners have moved away and left the cat behind. 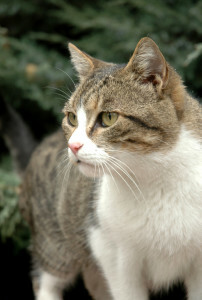 To reunite with the owners the cat must travel through unfamiliar territory to a destination previously unknown to the cat. Dr. Joseph Rhine of Duke University coined the term “psi-trailing” for this behavior. 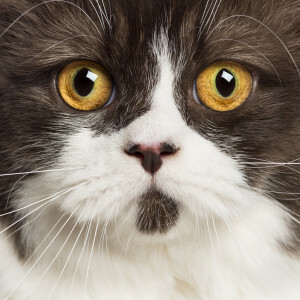 Because of the possibility of confusing a similarly marked cat with the owner’s pet left behind, researchers have insisted that there be incontestable distinguishing marks, physical abnormalities, specific previous injuries or specific behavior patterns that would rule out it simply being a case of mistaken identity. Among the cases authenticated by Drs Joseph Rhine and Sara Feather of Duke University, is that of Beau Cat, a pet in Louisiana who was reported to be missing while the family was looking for a house in Texas. The father stayed in Texas and the family came home but there was still no sign of Beau Cat. Five months later, when the family was settled in Texas, the cat appeared in the schoolyard where the mother taught and her son, was a pupil. Another cat that was left behind in California, appeared 14 months later in Oklahoma. And still another, journeyed 2300 miles during five months, from New York to California, to join its owner. These phenomenal treks are not limited to American cats. One account involves a French cat which left home and succeeded in finding a young man who had left for military service. The cat traveled 75 miles through the Vosges mountains before he reached his owner’s barracks 11 days later. Consider the remarks of the leading animal ethologist and Nobel Prizewinner, the late Nikko Tinbergen, who declared of extrasensory perception, “if one applies the term to perception by processes not yet known to us, extrasensory perception among living creatures may well apply widely.” What may be even more impressive than the physical feats and perceptual abilities involved in these incredible journeys, is the motivational drive required to impel the cat to initiate the quest in the first place and to sustain him until he successfully finishes it. Love is a powerful force. Note: If you would like to read more detailed reports of the above-mentioned accounts, you will find them in David Greene’s book, Your Incredible Cat.